Apple has released a new update for iTunes that fixes some bugs and issues. 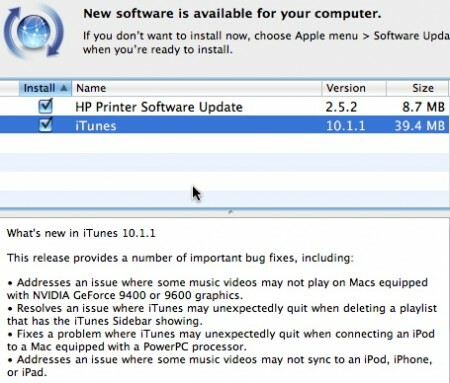 The update is available from Apple’s website: iTunes 10.1.1 for Mac and Windows. As for 64-bit Windows users they should go to: iTunes 10.1.1 for Windows 64-bit.